The syncs preferences panel allows you to set how many days worth of journal history to keep on the realtime synchronizations. This is the longest period a client could be offline and still be able to "catchup" to the current state. If they were offline longer than this period, it could result in them re-uploading files that other users had deleted. 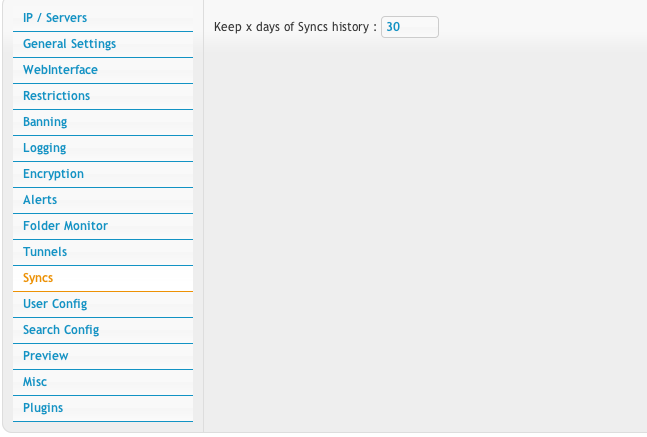 The syncs preferences panel allows you to set how many days worth of journal history to keep on the realtime synchronizations. This is the longest period a [CrushSync] client could be offline and still be able to "catchup" to the current state. If they were offline longer than this period, it could result in them re-uploading files that other users had deleted.